Newsletter No.015 What's the time, Australian Unimogs, W143 230, Happy page. Sorry we are a bit late with this one. Newsletter number 15 has been delayed by both the Christmas/New Year party and by something rather exciting. I was going to do the first newsletter for the new year last weekend but instead went to Perth and brought a 1937 Mercedes 230 Sedan and a 1938 230 cabriolet. Not an everyday event you might say. See below for some more details on the cars. A great special this week for anybody who wore their tyres out over the Christmas break. We have secured a limited amount of Continental 205/65VR15 tyres at a discount price. These would normally sell for $175.00 each fitted and balanced but we have 5 sets of 4 at $135.00each. These will suit all W126/R107 sedan, roadsters and coupes from 1986-91 and any W123 or W116's that have been converted to 15" wheels. Have a look here to check out the Continental site. They sell more than just tyres! No body worked it out? The clocks are from the different time zones around the world where Mercedes-Benz cars are made. The fifth clock will be for the plant in South Africa where the C180's are made. Tuscaloosa is where the "M Class" is made in the US and Vitoria is where the Vito is made in Spain. The other two are obvious. It was a surprise to me to find that Spain and Germany are in the same time zone. 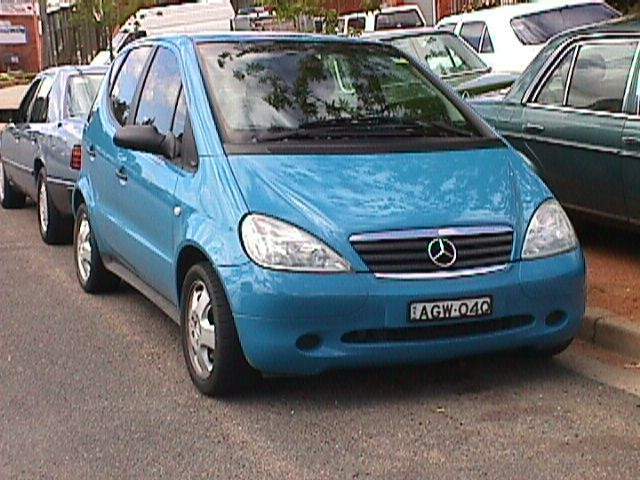 That new e-mail address for the NSW Mercedes-Benz club didn't get sorted out until a few days ago so if you tried to use it after the last newsletter and got returned mail have another go now. The address mbcnsw@mbz.org. 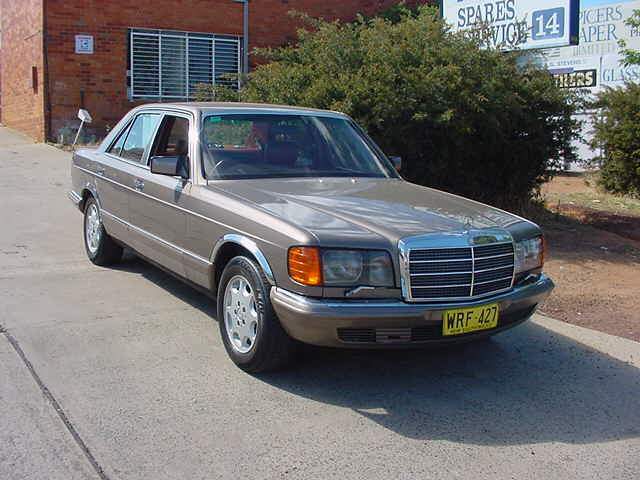 The Mercedes-Benz club of the ACT will be on display at "WHEELS" on the 11th of Feb at EPIC in Mitchell. This display is orgainised as a charity fund raiser by the Council of ACT car Clubs. Everything you ever wanted to know about the 6x6 Unimog as used by the Australian Army can be found here. Great pictures with shots of the famous Mercedes-Benz designed "portal axles". The impressive bit in the specs down the bottom of the page is the 760Nm of torque. That would pull any tree stump from anywhere! This is the reason the newsletter is late!! There is also a 1938 cabriolet b that I will have pictures of next newsletter. 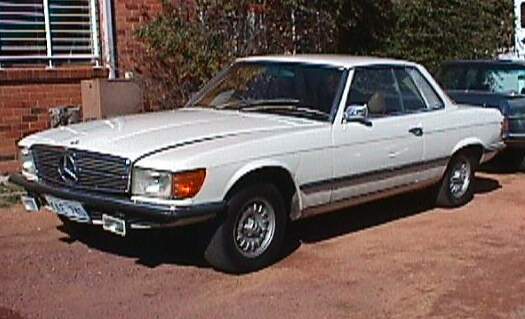 The sedan is better than the cabriolet which is very sick. 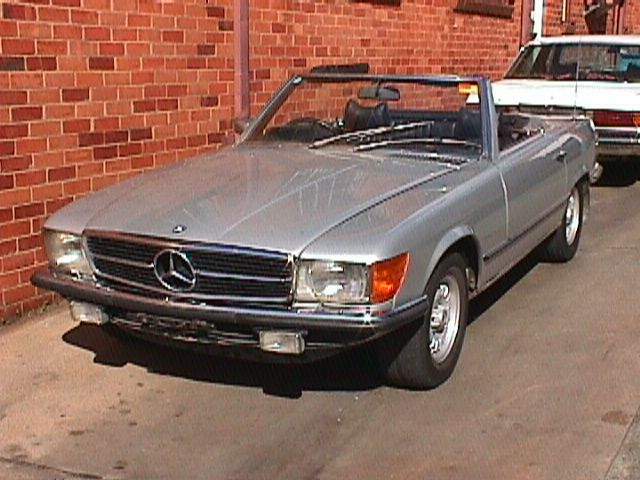 Both were imported into Australia by a Benz fan in Perth four years ago. The sedan is reputed to have only done 37000kms. The general condition is amazing. Sure it has some paint flaking off and a few minor dints but it has the original cloth interior. The full length fold back roof works just like the day it left the factory. The engine if perfect and run like a Swiss watch. There are some very strange things on it. The tyres have "Made in Germany" on them. This can only mean one of two things. They were made after the wall came down or before it went up? And, as they are severely perished I can only presume it is the first option. Specifications are as follows: 2.3lt cyl side valve engine. Four speed syncro manual transmission. Four wheel hydraulic drum brakes. Fully independent suspension with swing axle rear and twin transverse leaf front. Both cars are on a truck somewhere across the Nullabor as I type this and due in Canberra late next week. More details and pictures in the next newsletter. Here is a link for the "Mercedes-Benz Veterans Club of Germany" This is the only club I have found that specifically caters for the pre war models. Sorry but it is all in German. 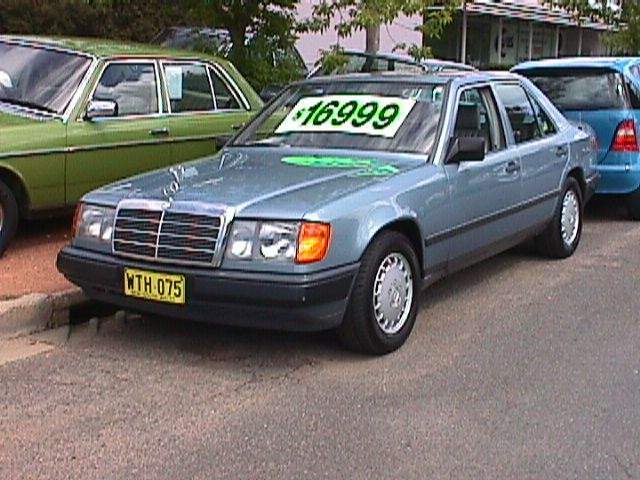 A160 Classic sedan 1999 model. Feeling sad? Somebody sent this to me and thought I should share it.